United were under the cosh for most of the opening half-hour but once they took the lead, when Romelu Lukaku fed Sanchez with a perfect slide-rule pass and he rounded Petr Cech to score (31), they never looked back. Lukaku showed excellent composure again to make United's second goal two minutes later, making the most of a rapid counter-attack from the edge of the visitors' own box to spot Lingard's run into the area, from where he finished smartly. Pierre-Emerick Aubameyang pulled a goal back two minutes before the break from Aaron Ramsey's pass but, despite plenty of possession in attacking areas, Arsenal failed to threaten enough. Arsenal: Cech (6), Maitland-Niles (7), Sokratis (6), Koscielny (6), Kolasinac (5), Torreira (6), Xhaka (6), Iwobi (5), Ramsey (7), Aubameyang (5), Lacazette (7). Subs: Mustafi (6), Ozil (5), Guendouzi (6). Man Utd: Romero (7), Young (6), Lindelof (7), Bailly (7), Shaw (7), Herrera (7), Matic (6), Pogba (8), Lingard (7), Lukaku (8), Sanchez (7). Subs: Martial (7), Rashford (7), Jones (n/a). 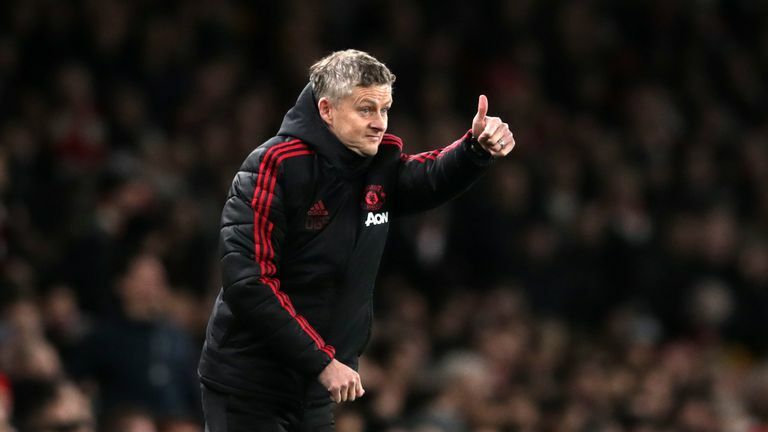 Instead, United sealed their path into round five late on when Paul Pogba's shot was spilled and Anthony Martial netted with a powerful finish to give Ole Gunnar Solskjaer an eighth win from as many games since taking over in December. 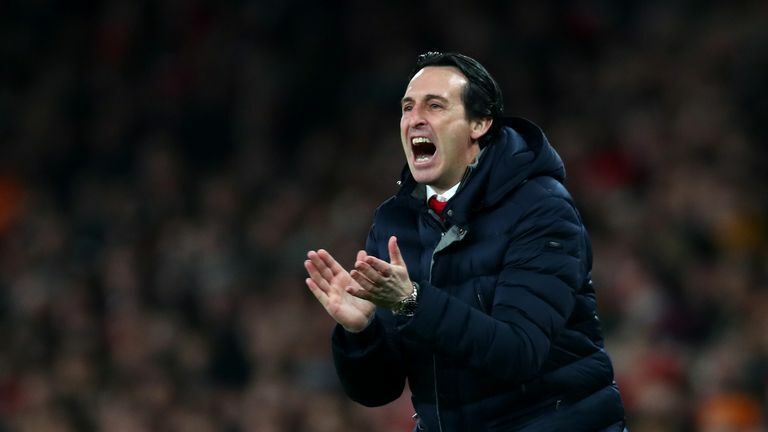 Arsenal turned the screw on the United defence from the off and overloaded them in wide areas, but the visitors' penalty area proved impenetrable as they stood up to the early barrage of pressure. Even as United began to feel their way into proceedings there was no sign of the sucker-punch which would follow for Unai Emery's men, but the quick one-two owed as much to their own defending as anything else. Arsenal committed men up-field as they searched for an immediate response but, once they lost the ball, Luke Shaw found Lukaku on the half-way line and he sprinted to the edge of the Arsenal area before spotting Lingard's run, and the England midfielder took a touch inside the box before slotting home. Arsenal recalled Petr Cech for Bernd Leno, replaced the injured Hector Bellerin with Ainsley Maitland-Niles and named Alex Iwobi ahead of Matteo Guendouzi. 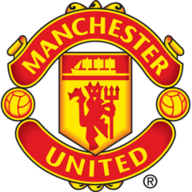 Manchester United made five changes from their win over Brighton, giving rare starts to Romelu Lukaku and Alexis Sanchez and naming Sergio Romero in goal, with David de Gea not in the squad. 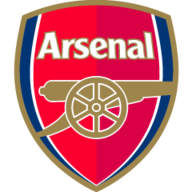 The striker's goal put the second half on a knife-edge but, despite long spells of possession, Arsenal could only fashion half-chances, with Alexandre Lacazette pulling a strong, but comfortable, save out of Sergio Romero. United substitute Marcus Rashford and Arsenal's Sead Kolasinac were perhaps lucky to stay on the pitch when they went head-to-head as tempers boiled over with time running out, but more concerning was a coin thrown from the crowd towards the melee of players who became involved in the aftermath. Luckily, no-one was hurt. The visitors looked happy enough to soak up the Arsenal pressure and sprung another counter-attack late on to seal victory. Pogba picked off a square ball across midfield and paced out of his half towards the Arsenal box before shooting from 25 yards. Cech's save was unconvincing and provided the perfect set-up for Martial, who smashed in a third goal of the night for Solskjaer's side. Manchester United have won six matches in all competitions at the Emirates - more than any other visiting side has managed since Arsenal moved there at the start of the 2006-07 campaign. Arsenal have lost two of their last three FA Cup matches (W1) - one more than they'd lost in their previous 23 FA Cup games combined (1). Since the start of the 2014-15 season, Alexis Sanchez has scored 41 goals in all competitions at the Emirates Stadium (40 for Arsenal, 1 for Man Utd) - 14 more than any other player. Just 149 seconds separated Manchester United's first and second goals - they scored with their first two efforts on target. Jesse Lingard has scored four goals for Manchester United against Arsenal in all competitions - double the number he has scored against any other opponent for the Red Devils. Lukaku won't often pick up an MOTM award in a match where he doesn't score, but the Belgian was tasked with "taking his chance" by Solskjaer and he did not disappoint. A masterful piece of anticipation made the opening goal for Sanchez before he turned provider again moments later for Lingard. United's path to round five could have been a lot tougher without Lukaku's assistance, and he certainly made a strong case for playing a greater part in United's upcoming games. Unai Emery: "I'm happy because I think our work is good, but the result is bad. Today it's the result and the injuries. They don't help us to be in the match, maybe when the result's 1-2. In this moment we had the possibility to grow and to win, but these injuries - especially the one to Koscielny - didn't help us because our rhythm went down. "They were very clinical today and in the moments when we attacked, we got into the box but couldn't produce the last action to score. We deserved more but we played against Manchester United who are in their best moment of the season, and they have a lot of players to make the difference. (Marcus) Rashford and Martial came on as well." Ole Gunnar Solskjaer: "It was a massive step forward for us performance wise, as a team, the structure in the team was miles, miles, miles better compared to Tottenham a couple of weeks ago where we hung in there and David (De Gea) saved us. "We have been working on that, we need to dig in and defend properly against good teams. I am not here to get excited, I am here to keep on improving the team, improving the players and just look to the next game. It is a league game, a massive league game for us at home again. Tomorrow we will enjoy sitting back in the chair and enjoy watching the FA Cup." Arsenal are at home to Cardiff in the Premier League on Tuesday evening (7.45pm kick-off), while Manchester United host Burnley at Old Trafford on the same night (8pm kick-off).